Florence Mustric plays the historic and magnificent pipe organ built in 1956 by Rudolph von Beckerath for Trinity Evangelical Lutheran Church in Cleveland. This organ has it all: power and warmth and a clarity that lets every detail shine. 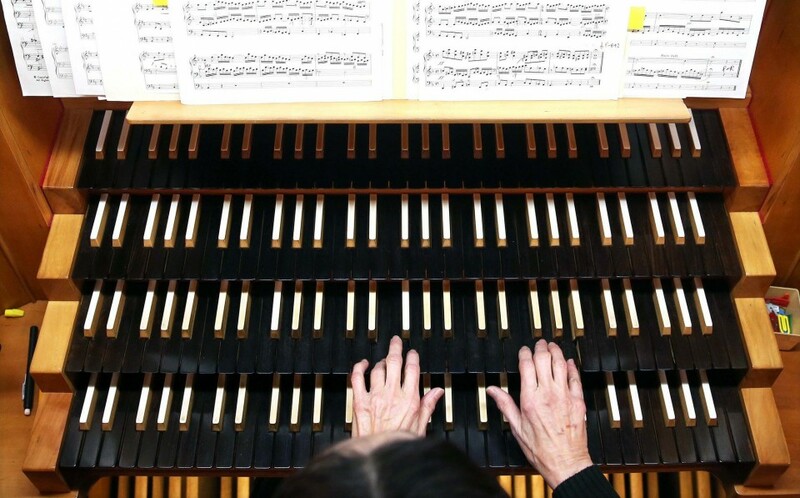 These qualities delight and inspire music lovers, whether organ aficionados or not. The Beckerath is heard in a year-round concert series, Music near the Market. Each Wednesday at 12:15 p.m. a theme is explored in a free live program. Hear beautiful classical music spanning three centuries and three continents: from the famous (Bach, Mussorgsky) to the rare and equally wondrous (Sokola, Süda). These recordings capture the Beckerath’s beauty and power. The engineering and production (high-resolution 24-bit) make these an audiophile’s dream. See REVIEWS page for full review! The Plain Dealer Have you seen the Plain Dealer photostory by Chuck Crow, published Friday, January 8 (page A4).